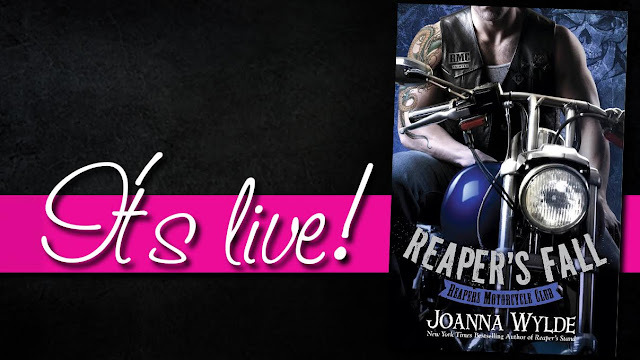 In Reaper's Fall by Joanna Wylde we get the story of Levi "Painter" Brooks and Melanie Tucker. This review is a little difficult because it will seem a bit hypocritical by the end. But I must be honest from beginning to end. What would you do if you met someone and in an instant you were so drawn too them it was all you thought about. What would you do if he was then sentenced for a weapons charge and sent to prison. Would you write him, would he write back. Would you send him photos and then he send back sketches. Would you expect something to come of it when he was released. Then he is released he literally ignores you. He doesn't call, he doesn't text, he sends for his car that he let you use while incarcerated through a mutual friend. Then he comes to help you move and ignores you other then a simple hello. What would you do if your life has been a string of one night stands, even one hour stands a few times a night. What would you do if women have always been just a physical release for you then you meet someone who all of the sudden consumes your waking and sleeping thoughts. What would you do if you formed this friendship with a beautiful woman and realized while you were in prison you had such strong feelings for her but you knew she deserved so much better then you. She deserved so much better then you could give her. What would you do when you got out. You would continue to make mistake after mistake after mistake. But you just can't ignore your feelings especially when she pushes you, she wants you and she doesn't hide it. How long can you continue to push her away wen she clearly doesn't want to be pushed away. There are a few things I hate in my romance novels. There are then things that completely endear me. 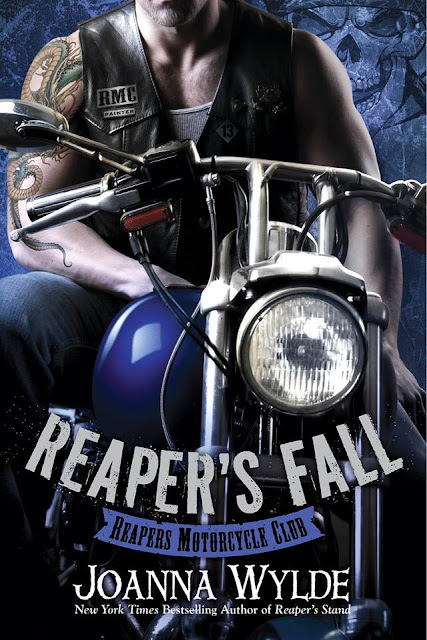 Reapers Fall had everything I hate and love in a novel. 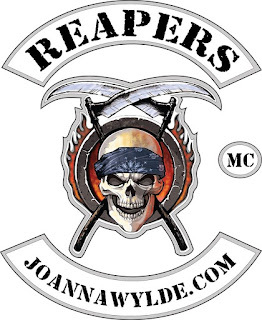 I want to start off by stating I completely understand Motorcycle Club novels are supposed to be gritty, they are not hearts and flowers or anything like that. But I felt Reapers Fall went a little too far with the lack of respect aspect. Painter was a bit in his head and made soooo many horrible selfish decisions I could have jumped through my kindle to strangle him. The hypocritical part comes with I completely never doubted his love for Mel. Mel on the other hand I could so understand her stance and fear of trusting Painter again. But I also felt she pushed it so far that he was right by the end she was just holding her grudge to hold it that by that point she couldn't really hold it because he spent such a long time proving to her he changed. And he did, he loved her and their little princess more then anything in the world. In the end while I spent most of the book driving myself crazy I also could not put it down. I needed to know what was going to happen. I needed to know Painter wouldn't screw up. I needed to know that Mel would move on and that makes for a great book so I give it a solid 4 stars.